I am a 2007 graduate of the United States Naval Academy and former Lieutenant in the US Navy. I am also a veteran who struggles with thoughts of suicide. I am writing to share my experience and express my concern with the current mental health services model in the DoD and VA. I firmly believe that the rates of mental illness and suicide within the veteran community and active duty personnel are partly due to the overprescribing and unrestrained use of psychotropic drugs along with the failure to formally communicate and monitor the known adverse effects of these drugs. Psychotropic drugs include antidepressants, antipsychotics, tranquilizers, stimulants, and mood stabilizers. I would like to establish four uncontested realities. First, there is no single psychological or physiological motivator for suicide. Second, due to bio-statistical variation, response and tolerance to medications and drugs can vary significantly across a population. Third, to date, no known physiological dysfunction of the brain has been found to be characteristic of any major mental illness. Fourth, psychotropic drugs alter otherwise normal brain physiology. In 2010 I began a fully funded US Navy graduate education program in Naval Engineering at the Massachusetts Institute of Technology in Cambridge, MA. In my second semester, I began to experience anxiety secondary to a stressful academic load and a troubled romantic relationship. It is critical to note that at no time prior to or during my distress was I suicidal or clinically depressed, simply anxious. I voluntarily sought treatment from a psychiatrist and was prescribed the benzodiazepine Ativan (lorazepam) and the SSRI Zoloft (sertraline). It is critical to note that I was not informed of potential for physical dependency to benzodiazepines. I complied with treatment, using the medications as prescribed, and finished the graduate education program. In the summer of 2014, while my condition continued to deteriorate, the adverse effects from the combination of psychotropic drugs began to mount. Short term memory loss, cognitive dysfunction, sexual dysfunction, disturbed sleep, and emotional flatness are a few among many. Following my psychiatrist’s guidance, I tapered off the combination of drugs over a two-month period, only my condition was not the same as when I had begun treatment. What has ensued in the year and a half since discontinuation can only be described as horrific and life-altering. The most notable symptoms include searing headaches, muscle tension, tremor, seizure-like episodes, memory loss, cognitive dysfunction, dizziness, and a level of terror-like, irrational anxiety that I could never have previously imagined possible and simply cannot be expressed in words. Intrusive suicidal ideations due to the persistent and intense physical and psychological suffering have become a fact of everyday life. 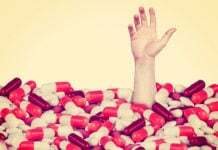 However, what has been most distressing during the months of both acute and post-acute withdrawal is the wholesale denial by mental health professionals that my suffering could be related to the drugs. My experience has repeatedly been labeled a ‘relapse’ of my original condition, despite the indisputable fact that my symptoms did not exist in any form prior to exposure to psychotropic drugs, and which correlated with the use and discontinuation of several strong psychotropic drugs. Instead, new diagnoses and offers of stronger medications abounded. Knowing that what I was experiencing was not an organic disorder, but rather neurological dysfunction induced by exposure to several psychotropic drugs, I refused further pharmaceutical treatment. In the time since, I have learned that many patients experiencing the same distress from psychotropic drug use and withdrawal, as well as the invalidation of rational personal observations, commit suicide or succumb to the pressure of clinicians and comply with further psychotropic treatment. After consulting with numerous private and public psychiatrists and psychologists, I have found a very strong confirmation bias within the mental health community that resists any challenge to the current prescribing methods of psychotropic drugs. I have repeatedly encountered a total repudiation of the potential long-term, persistent adverse effects and likelihood for worsening a patient’s psychological state despite the growing body of independent scientific research and anecdotal evidence that supports my experience. It rises to a level of groupthink that I have never before encountered in any societal institution. I would like to reiterate the four indisputable realities I mentioned above. First, there is no single psychological or physiological motivator for suicide. Second, due to bio-statistical variation, response and tolerance to medications and drugs can vary significantly across a population. Third, to date, no known physiological dysfunction of the brain has been found to be characteristic of any major mental illness. Fourth, psychotropic drugs alter otherwise normal brain physiology. Considering my personal experience, the abundance of patient anecdotal evidence and a growing body of scientific evidence, it is apparent that a significant portion of the population is intolerant and subject to neurological destabilization and dysfunction from exposure to psychotropic drugs. Consequently, they are likely to endure previously inexperienced and severe levels of distress and despair, leading to suicidal ideations and actions. From what I have witnessed as a patient, the psychiatric community is not capable of critically assessing the evidence and instituting the changes required to address the issues I have raised. I am asking that as legislators, you objectively consider all the evidence concerning short and long-term exposure to psychotropic medications, and realize that, as the institution of psychiatry is wholly dependent on the ability to prescribe psychotropic drugs, it is inherently biased and incapable of critical self-assessment. Requirements for formal and documented ‘Informed Consent’ signed by the patient that includes: (1) acknowledgement that the drugs are altering otherwise normal brain physiology, (2) full disclosure of the known effects of psychotropic drugs, (3) the potential for adverse outcomes based on scientific research independent of bias and conflicts with the pharmaceutical industry, and (4) disclosure of legal actions previously taken against the drug or class of drug. Recommendations for ‘therapy-first’ approach to non-life threatening mental health cases rather than the current ‘pharmaceutical-centric’ approach. The United States military has long been an instigator for positive change within the broader institutions and norms of our society. Critical assessment of the current pharmaceutical approach to mental health is one such opportunity with the potential to save many lives. Next articleHow Can We Prevent Misdiagnosis in Medicine? David Cope is a 2007 graduate of the US Naval Academy, a 2012 graduate of MIT and a disabled veteran as of 2015. A four-year interaction with psychiatry that began with a prescription for Ativan cost him his career in the US Navy and nearly his life. He continues to recover from exposure to a cocktail of medications that were taken as prescribed to treat anxiety and has committed his limited capacities to inform others about the failures and dangers of the mental health industry. so they gave you a downer, Ativan, an SSRI and then they gave you speed and they made you take it every day. Not even the most desperate thrill seeking drug addict would take that every day. Yet these people who prescribed this nonsense combination call themselves Doctors. They are not. They are drug pushers for the greed driven mobsters, Big Pharma. Thank you for this brilliant and carefully prepared article. I have a lot of identification with you. I know the story all too well. We need informed consent, and NO involuntary detention and drugging with these appallingly damaging substances! A sorry situation, when organized psychiatry is submerged more thoroughly by groupthink than the US Navy, the desire and need for promotion in the officer caste making the military a veritable citadel of groupthink. Does this mean organized psychiatry is the Maginot Line of groupthink with shrinks forming the garrison manning the Line? Thanks so much for doing the brave thing! I hope they hear you! Good letter. But, I for one say that it is imperative to maintain a strict privacy wall and never discuss anything like suicidal thoughts or a mental health history, as that only places you, and abuse survivor, at further risk. The mental health system, and its military arm, have to be fought in other ways. Nomadic, while I fully believe in the right to privacy and am aware of the risk I’m taking in sharing my experience, it’s imperative that we don’t allow the ‘privacy wall’ to shield clinicians from direct criticism and perpetuate the current state of affairs. I agree that clinicians should not be shielded. On the contrary, they must be fully exposed, and I am all for actions to do this. I am just suggesting that maybe you don’t know the full nature of the evil you are dealing with, and just how dependent our society is on this idea of who is legitimate and who is not. And so the ways to stand up against the mental health system, in my opinion, have to be more extreme and covert. Your courage in the things you have said is to be commended. But I still think you may have exposed yourself to more delegitimacy than the benefits warrant. I agree with Dave, although I see the point Nomadic is making. Many people become afraid to reveal they have suicidal thoughts, because of past experience with coercive psychiatry, and for people still in the system, it is a continuing risk to reveal those thoughts. But it sounded like Dave Cope is no longer being treated by psychiatrists, so he is no longer in danger of being locked up or forcibly drugged. Still somewhat of a risk, but a risk worth taking. Thanks for your story Dave. By the way, sent you a message thru Facebook. No protection at all. Being in the vicinity of a knife is grounds for a police referral to mental health services. Quick ‘verbal’ and your off to the nearest locked ward for some dribble therapy. Waking to police pointing a tazer at you, drugged without your knowledge, and delivered to a locked ward, “PRN” will be required. More benzos, Olanazapine and Quetiapine forcefully administered you are now lacking insight into your illness. In fact, your non compos mentis, and now are being treated by a psychiatrist. Stripped of your human and civil rights, and zero access to any legal representation, ‘treatment’ can proceed. I just think that the evil here is greater than people realize. So I want to strike and expose these clinicians, but when I do it I’ll be wearing a balaclava. The mental health system is not going to respond to open honesty, but it will respond when its clinicians are exposed to public censure. My daughter studied Neuroscience in college in Bellingham, Washington. She remembered this as a newly approved method of treatment for Depression and Anxiety that used a machine with magnetic stimulation through the skull. There were little to no side effects and good results for long term relief. She said some of the studies suggested that the stimulation reactivated some areas in the brain that had been lower in activity with years of depression. I related to your story as well, but for different reasons. I have suffered from clinical depression for years and took the SSRI’s off and on. When I turned 48, my Dr. said menopause left me with little hormone activity and the anxiety attacks started at 4 am and didn’t let up until evening. HRT helped but when I added the SSRI Effexor, I got my life back—-for a while. At some point I realized I was having cognitive problems and was told, like you I had ADD. Like you I was given Adderall. Then the blood pressure went up, (I never had high BP) and another drug was added. My Dr. told me I may be over reacting to the adderall and thought I was acting weird. They started referring me to a specialist that only checked you once a month to see how you were doing on all the drugs they gave you, in order for you to keep all the drugs they gave you! I read my memory problems and my cognitive problems could be from the SSRI’s. I went cold turkey off all drugs. You can imagine where I have been for the last year. It has been nearly unbearable. I went to naturopaths, health food experts and finally a Dr. who is a med Dr. educated in Argentina practicing as a Naturopath through the TAHOMA CLINIC in the Seattle area. He put me back on HRT but I have major problems with the depression bouts still. His latest Rx was Rubidium and Potassium. He also suggested low doses of Lithium. I was just planning to go back on the drugs one week ago. Now I am thinking I will look into TMS. Maybe I should post this somewhere else on the site, but here it is. TMS sounds very promising as it is NON DRUG and has few if any side effects. I am wondering about the personal research this group might have the ability to do and give an opinion. I feel like my life if at a standstill and I am the weak link in the chain. I can’t believe that I ended up this way. All the education and engineering talent that you have, it is sad that you find yourself disabled at this time. My husband is an engineer for a manufacturing conglomerate and says that American schools are not producing engineers and the foreigners are troublesome in their ability, at best. I had never been to a Psychiatrist and thought that they might have more care or know better of what to use on my condition than a primary care psy does. After reading over this site, I am doubtful about that. Certainly very confused. Well done for speaking out and doing something about this by raising awareness. I have dealt with very similar despair/terror/suffering to you, I think, mainly because of severe traumas of various kinds and also partly due to drugs. It is so difficult and I pray that you are getting as much support as possible to be able to move along a gradual upwards path in how you are feeling and functioning. “Deemed consent” replaces “informed consent” in psy “medicine” ethics, where one rarely finds respect for the autonomy of the patient. How hospitals, other doctors, politicians, schools, the military and many families accept this special exception of psychiatric pseudoscience and harm is beyond the understanding of our family who lost on a son to the same iatrogenic trajectory you were on. Thank you for writing this lucid letter. Disabled veterans lead this country in demanding and winning accessibility codes and had the clout to enforce them. I thank you for your efforts in this matter. Please accept my sympathy for the torture you have been through in the hands of our military’s shameful psy treatment of another extraordinary young person. What the hell is “deemed consent”? Deemed consent is where the patient says “no” and they get pinned down and injected. This is justified under the grounds that they (a) lack insight into their condition and (b) it is an “emergency”. It basically turns a “no” into a “yes” and no one will look because the patient is deemed to have consented, rather than actually given consent. I hope you can find your way back to drug-free physical, mental and emotional health, but if you do don’t be surprised at the reaction if you try to share your experience with other vets. I am a US Navy Submarine Force veteran of the Cold War and Vietnam Conflicts. In the 1970s, before the diagnosis of Post Traumatic Stress Disorder was developed, I was diagnosed with schizo-affective disorder by Veterans Affairs psychiatrists. After eight years of unsuccessful treatment with psychiatric drugs which severely damaged me both physically and emotionally to the point of ischemic strokes and suicidal ideation, I was extremely fortunate to recover completely within a few months. I had learned about Orthomolecular Therapy based on tissue mineral analysis of a hair sample and Creative Psychology through my own research and in 1982 was able to obtain a source of these treatments independent from the VA and at my own expense. My VA psychiatrist, who later rose to the presidency of the American Psychiatric Association, refused to acknowledge my use of Orthomolecular Therapy, the hair test results, or Creative Psychology and termed my recovery a “spontaneous remission”. Since 1982, I have lived a healthy, productive life, free of not only the need for psychiatric drugs, but all other prescription medicines as well. In 2007, concerned about the suicide rate of veterans diagnosed with PTSD, I began to attend a PTSD group at a VA CBOC Clinic. After only a few meetings where I shared my story with other veterans, I was taken aside by an unlicensed VA psychologist and VA psychiatrist, a graduate of a one-star foreign medical school. In a twenty minute interview they diagnosed me with paranoid schizophrenia, a rare and extremely disabling condition, and banned from further participation in the PTSD group. When this new diagnosis affected the renewal of my life insurance policy, I requested the medical records of my recovery in the 1980s. I discovered that all such mental health records in DVA VISN 1, in the 1978 to 1990 time period, had been spoliated. No records remain. I am convinced that thousands of veterans could have made recoveries similar to mine, with thousands of lives saved, had VA psychiatrists run studies on Orthomolecular Therapy and Creative Psychology instead of destroying all evidence of a veteran’s drug-free recovery and attempting to discredit him. I have recently been examined and tested by well-qualified civilian forensic psychiatrists and a QTC, Inc. C&P medical examiner, who find in me no evidence of any mental illness. Your story deserves wider coverage. Is anyone picking up on this? Concerned Veterans of America is gathering these stories. I just posted and suggest that Dave to the same with a shortened version of his narrative. The one plus to this is that your psych records have disappeared from the VA as well as yourself. Through administrative magic, you are no longer (A) daft, nor are you (B) a psych patient. Now, your vitamin consumption is no longer a proof of your derangement because you have no psychiatric existence. I offer this because my records have probably disappeared too, in the same fiasco. Bravo! Not a veteran myself, but experienced an anxiety unlike anything before, after trying to discontinue a small dose of SSRI I was prescribed for a 8 months. Wow..that was hell. And yes, docs thought it was “relapse”. Sadly, however, I was only moderately overwhelmed when my mother had a stroke at the same time I was 4 months pregnant and was wrongfully dismissed from a professional position I held for 9 years. Yes, I was a bit sad and a bit anxious, but NOTHING like it was when I went off of the drugs 5 months after my baby was born. I tell you, twice since I tried coming off these meds, and each time, it was pretty extreme withdrawal. I have had success though, and I will never stop telling everyone about the horrors of those kinds of medications. They are simply too toxic for some, and throw neurotransmision off, and put people over the edge. Honestly, when are the doctors finally going to understand this, and how can we save the lives of others…who about to learn the hard way. The role of individual patient’s metabolic vulnerability to SSRI, SNRI and antipsychotics induced akathisia resulting from Inherited Cytochrome CYP 450 Genomic Variants has helped me realise and understand what toxicities are hidden, confused, denied and misdiagnosed as “psychotic illness”. Akathisia is the basis of psychiatric drug induced suicidality, aggression and homicidality. It is poorly recognised and little understood by primary care physicians and nurse prescribers. It is frequently unrecognised as an acute chemical brain toxicity in psychiatry and taken as “proof” of serious mental illness. They have no shame, no professional awareness of their grotesque prescribing and diagnostic errors and are incapable of apology. Akathisia is an acute, life threatening medical emergency. It should be managed by highly skilled, acute emergency physicians with access to I.T.U. facilities. Your courage, your accuracy of analysis, is received with sincere respect. I wish you recovery from your appalling and unnecessary chemical injuries, and look forward to your brilliant further advocacy on behalf of so many other veterans, as well as all the victims of psychiatry’s hubris. Ref. The Relevance of Pharmacogenetics in Psychiatry. Lucire. Y. Retired Physician. (Not Emergency/Intensive Care). Such a chilling comment and so accurate – this was our experience too. I join others who give you a big thank you for writing such a powerful post. Best wishes for your further recovery. So true, and it’s not just the psychiatrists denying and hiding the iatrogenic damage done with the psychiatric drugs, it’s almost all of the mainstream doctors as well. It’s called the ‘white wall of silence,’ I believe. Thank you for speaking out so eloquently, Dave, and best wishes on your healing journey. Very well said, you made a lot of very important points, clearly, with few words! And you tell a compelling story. The sticking point though in getting action is probably is that you are asking legislators to “second guess” people seen as medical doctors, and that’s a bit taboo in our society. I wish someone could come up with a way to overcome that – the best I can think of is to gather more dissidents within the medical profession, so legislators would feel they have at least some “doctors” on their side! Thanks for writing this excellent letter. I think it’s appalling that psychiatry cannot even follow it’s own guidelines. I look to the NICE guidelines from the UK where they specifically say that medications shouldn’t be used for anxiety disorders and only short term under specific conditions and should be monitored. I have pasted them here plus the link to the website as I think this information should be put to those who allow bad practice to continue. I know here in New Zealand these gouidelines are not often followed. It may add wait to your cause that psychiatry doesn’t even meet its own standards of care. Statement 1. People with a suspected anxiety disorder receive an assessment that identifies whether they have a specific anxiety disorder, the severity of symptoms and associated functional impairment. Statement 2. People with an anxiety disorder are offered evidence-based psychological interventions. Statement 3. People with an anxiety disorder are not prescribed benzodiazepines or antipsychotics unless specifically indicated. Statement 4. People receiving treatment for an anxiety disorder have their response to treatment recorded at each treatment session. Thanks Pauline for the info. One of the things that ultimately drove me to write the letter was when I read my medical record from the first psychiatrist, he had initially prescribed me Zyprexa! Of course at the time I had no idea that it was an anti-psychotic and was never told it was an anti-psychotic. How he came to the conclusion that an anxious grad student who was distraught over a failed relationship needed an anti-psychotic, and then didn’t even fully explain what the drug was or the implications of using is beyond negligent. Olanzapine for anxiety!!!! That’s terrible. However saying that, it is very common here for quetiapine (seroquel), also an anti-psychotic to be used for anxiety, off label of course. It is very negligent especially when these doctors don’t even follow best practice guidelines. I was a little optimistic the other day when I was speaking to a few medical students who seemed to understand talking therapies are the first line treatment for anxiety and depression. And they were being taught mindfulness, they were pleased to see a real example of how well mindfulness works. NICE: Information for people who use NHS mental health services. December 2011. Quality Standard for service user experience in adult mental health. To paraphrase Ghandi: – Great idea, pity no ones ever tried it. These idealistic concepts read as pure fantasy. In the UK 60% of the people prescribed “antipsychotics” have no Diagnosis whatsoever. Drugs like Seroquel or Quietiapine are also only recommended for short term use (i.e. if a person uses them longterm and dies – then they have not been consumed as recommended). They treat Public Money as their own. Dr Boans writes a referral to Chekhov Ward 6 for one public servant from the UK lol. That doesn’t look good at all Fiachra. About to act on the information gathered from the Govt Reviews? Might be best kept in an office in the UK rather than taking in the sun in the Bahamas. Because I think there may be a couple of questions to be asked. Lets hope so anyway. White Collar Mental Health Fraud is part of the Culture in the UK – they’re all at it so it’s a bit difficult to point the finger. We have been the recipient of a large number of people coming to the colonies as a result of our mining boom. Our police and mental health, social services have quite quickly changed with the introduction of these people who have I believe in many cases left under a cloud, and are now corrupting our already dismal system. A shame really because so much could have been done with that large influx of money if it wasnt being misappropriated by these carpetbaggers. And guess who will be left with the mess? Senior constable who ‘verbals’ weapons into peoples pockets – English, hadnt been here long enough to know what the name of our biggest prison is. Corrupt. Community Nurse who knows how to conceal remote detentions with the use of fraudulent documents – English, few years service to our community. Dave, that was perhaps the most cogent and concise letter on the subject I’ve seen in a long time. I hope you’re willing to continue to engage in political and legislative action to force some action on this point. Your calm and rational approach as well as your status as a veteran having honorably served this country make you an ideal spokesperson for these issues in the legislature, where any real change will have to originate, as the field itself is, as you so eloquently describe, corrupted beyond the point of being capable of any kind of honest self evaluation. Thanks so much for your courage and clarity! I wholeheartedly agree. Intelligently and beautiful written letter that hits right at the heart of the issue and provides solutions as well. Very impressed with your thoughtfulness and clarity. We can do much better to help our veterans. Less bureaucracy, more direct help that benefits the veterans directly, within their own communities, not in these large, outdated VAs. Much health, wellness and success to you! Maybe a political career for you, we need honest men and women of integrity and character. Dave, thank you for your humility and courage in writing. You speak for so many other veterans who have found themselves looking back and wondering, how did I get here? Many of them struggle with how to express their experience and their feelings. No doubt you are disciplined, as I am sure at times it’s difficult to hold back the anger and frustration that comes with realizing that what you have experienced was completely unnecessary. It takes humility to admit — that an intelligent disciplined person as yourself –was pulled into what I refer to as the “drug trap” …. I’m not a veteran, and I’ve never taken a psychiatric drug, but I can relate to what you have expressed from a completely different perspective. I’m a mother who lost her fourteen year old child more than sixteen years ago because I didn’t know then what I know now. It’s a difficult lesson to learn, but one that no one ever forgets once they learn it. I’d like to help you in your effort. Are you familiar with Fred Baughman, MD (retired child and adult neurologist)? I can put you in touch with him and others. Fred has been speaking out and on behalf of our children and our veterans for years, and is connected to quite a few military families. The problem is — I don’t know how to reach you. I’ll look you up on FB, or perhaps Mr Whitaker or one of his staff will share my contact information with you – he has my permission to do do. May God bless you and strengthen you. I went through that for a very long time, almost two years. Like Mr. Cope, I had been diagnosed with ADHD. I was prescribed Ritalin. It made me intensely nervous and jittery, so my doctor wrote a prescription for Adderall. To be taken along with Ritalin. I guess when you’re on Ritalin, everything seems like a good idea, because I complied. There being no improvement, he added Prozac. I don’t remember much after that but my Facebook account does. (All set to private now, which took many hours.) I did realize I had gone crazy and had a sense that it wasn’t good. I discontinued the drugs, more or less ruined my life, and fell into a waking hell state of mind. It was certainly colored by the ruination of my life, but the intensity and persistence of the never-before-felt emotional states went far beyond a reaction to material losses and the end of a long-term relationship. I now think the “waking hell” state of mind was dopamine agonist withdrawal syndrome (DAWS). I’ve seen it written that ADHD drugs can’t cause that. That makes no sense, because Adderal is a dopamine agonist, so I wrote to a professor who studies ADHD drugs for his opinion. He said he couldn’t think of a reason why they wouldn’t. Like Mr. Cope, I was at a loss for words in my attempts to describe what I was enduring. Inhuman and unGodly come to mind. I do not think a brain could experience the emotions I had unless it had been damaged by psychiatric drugs. If street drugs did this, no one would take them. About revealing personal thoughts, what outcome do you want? 1. Do you think the parties you are revealing them to will change on account of what you say? 2. Are you looking for approval, pity? 3. Are you looking for psychotherapy, being talked out of your anger? But, Dave Cope, I do thank you for your article and your courage. I work with veterans diagnosed with PTSD. It is a crime that almost none are not referred for EMDR but nearly all are prescribed drugs! Thank-you for your service, SIR! And thank-you even more for your excellent letter. I read it very carefully in .pdf, and also here, above. While obviously, I cannot comment directly on your personal experience, I can absolutely verify the gist of your letter, because it describes my own personal experiences with the pseudoscience drug racket known as “biopsychiatry”. And, from a WW2 B-17 ball turret gunner, to veterans of Iraq & the ‘Stan, I have met and spoken with MANY veterans who would also corroborate your narrative. I am SO GLAD that you have found MiA, and hope to see more of your writings here. You do realize, that you can now claim a NEW “diagnosis”, that can’t be refuted. “Iatrogenic Neurolepsis”. Think about it! (I used to call it, “Iatrogenic Neuroleptic Pharmaceutical Cerebral Cognitive Impairment Malfunction”. You see why the short form works better!)…. Also, I did have a/n “mTBI” from a traffic crash, and really, “cTBI” applies, also…. You must admit, poinsoning with psychotropic drugs DOES constitute a “cTBI”…. Seems very courageous on the part of the author to have written and submitted this important post to MIA. As the mother of a teen whose life was destroyed and ended by SSRIs and medical “care,” I, too, contacted legislators to discuss Informed Consent and Black Box warnings. (Natalie’s story is at http://rxisk.org/kidnapped-natalies-story/ ). I explained that the fatal Zoloft dose which precipitated my daughter’s death was prescribed over the phone without ever being seen by the doctor and no close monitoring. I stated this is increasing the suicide rate among our troops. The tangled web that perpetuates harm to unsuspecting, innocent consumers is large and well-organized. However, I do believe speaking can save others from prescribed torture. Dave, thank you again for your leadership. keep up the amazing work… and thank you for your service both to our country and as a Benzo Warrior.